The Institute of Internal Auditors – Australia along with the Australian Institute of Company Directors and the Australia Auditing and Assurance Standards Board will launch the third edition of Audit Committees-A Guide to Good Practice. As part of the update, the internal audit section has now incorporated a diagram showing functional reporting lines of Chief Audit Executive to CEO on administrative matters and directly to the audit committee on operational matters. The 2017 edition of the IPPF is now available. The International Professional Practices Framework (IPPF)® is the conceptual framework that organizes authoritative guidance promulgated by The Institute of Internal Auditors. A trustworthy, global, guidance-setting body, The IIA provides internal audit professionals worldwide with authoritative guidance. The IPPF presents current and relevant information that is required by internal audit professionals worldwide. The IPPF includes Mandatory Guidance and Recommended Guidance. The IPPF 2017 edition features the Mission of Internal Audit, Core Principles for the Professional Practice of Internal Auditing, the Definition of Internal Auditing, Code of Ethics, the Standards, and Implementation Guidance in hard copy. All Supplemental Guidance documents are on USB. Provides a Road Map that highlights the alignment of the specific assessment activities with the mandatory guidance of the IPPF. Be prepared to pass Part 1 of the updated CIA exam, testing January 1, 2019 and beyond! This comprehensive, interactive, and online CIA review program will also arm you with critical tools and knowledge to excel in your internal audit career. 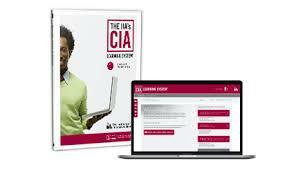 The IIA’s CIA Learning System Version 6.0 teaches and reinforces the entire updated global CIA exam syllabus in a flexible, online format only. This Publication is produced by IIA Research Foundation. Author: Gleim, Irvin/GLEIM Publications, Inc.
New - The Gleim CIA Study Part I: Includes book with comprehensive outlines aligned with The IIA exam syllabus and online access to the bank of questions. Latest 2019 version. GCIA Module 1 E-book Internal Auditing: Assurance & Advisory Services 4th edition. (Earlier editions were titled Internal Auditing: Assurance & Consulting Services). 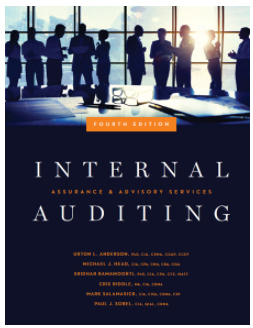 GCIA Module 1 Textbook Internal Auditing: Assurance & Advisory Services 4th edition. Be prepared to pass Part 2 of the updated CIA exam, testing January 1, 2019 and beyond! This comprehensive, interactive, and online CIA review program will also arm you with critical tools and knowledge to excel in your internal audit career.